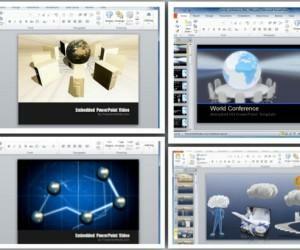 Want to make a presentation about rockets and outer space? 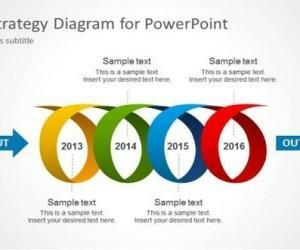 We have just the presentation content you need! 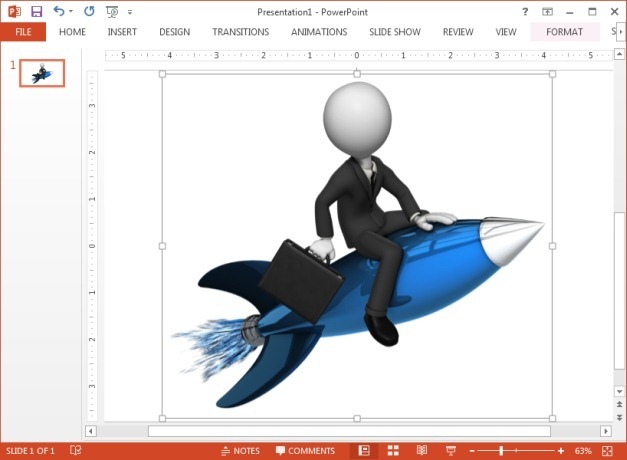 The Animated Rocket PowerPoint Templates listed below can help you create customized, animated slides for your PowerPoint presentations. 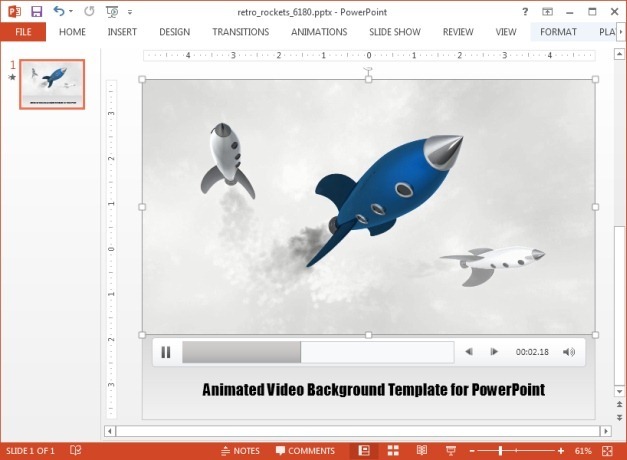 This is a customizable video background template for PowerPoint. You can customize the text displayed in the video animation by going to the developer’s website by adding your own content and logo/image. You can also add or remove content by editing the given layers. 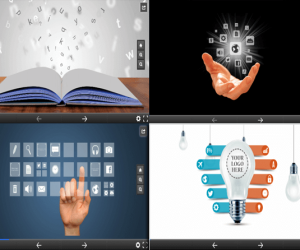 Once you have customized the animation, you can download it as a standalone animated slide in PowerPoint format or even as a video file in supported formats (MOV, WMV and FLV). 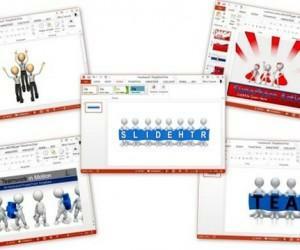 Once the animated slide is downloaded, you can further customize it using PowerPoint. 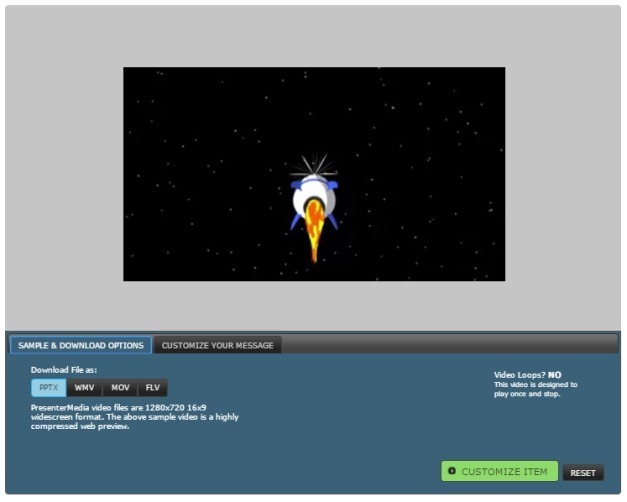 Retro Rocket is another rocket themed template which comes with a video animation of flying rockets. 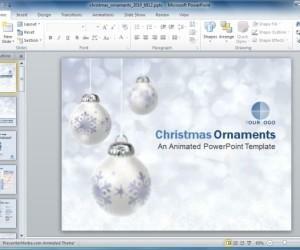 This template too is available as a PPTX file, as well as in various video formats. 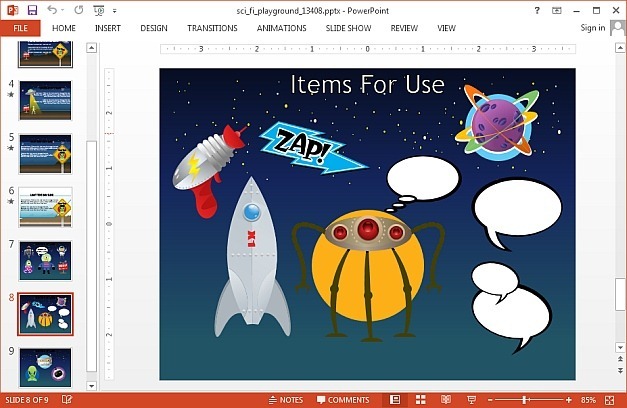 With aliens, spaceships and clipart images depicting outer space themed icons, this template is perfect for making children’s storyboards, rocket, space and sci-fi themed presentations. 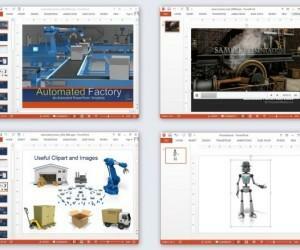 You can download the Sci-Fi Presentation Template for all recent versions of PowerPoint (Windows and Mac) and Keynote (Mac and iPad). 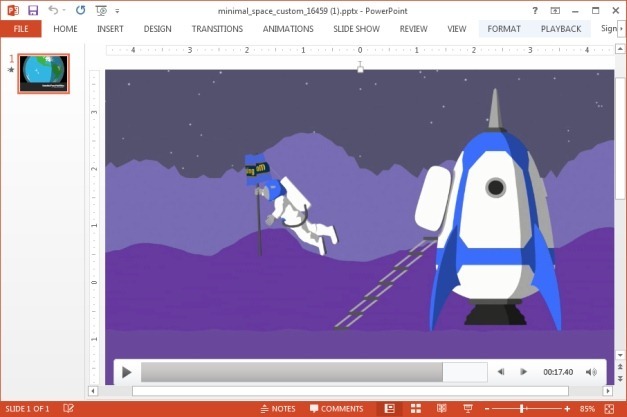 This rocket clipart is available in JPG and PNG image formats and can be downloaded in a custom resolution. 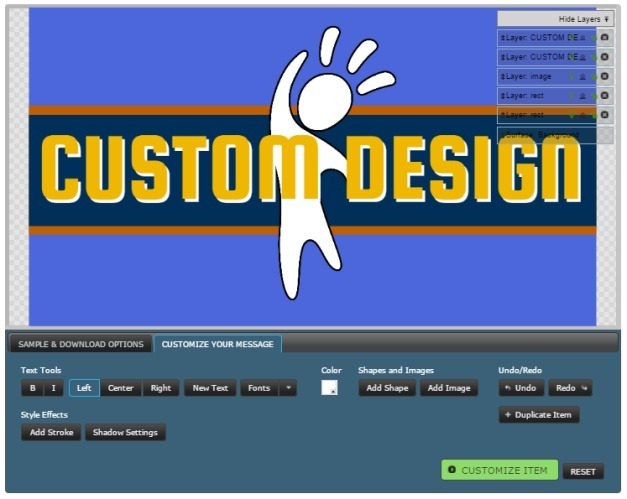 Using the features at the Presenter Media website, you can also customize the look of the clipart by changing the color of the clipart and adjusting the brightness and saturation.